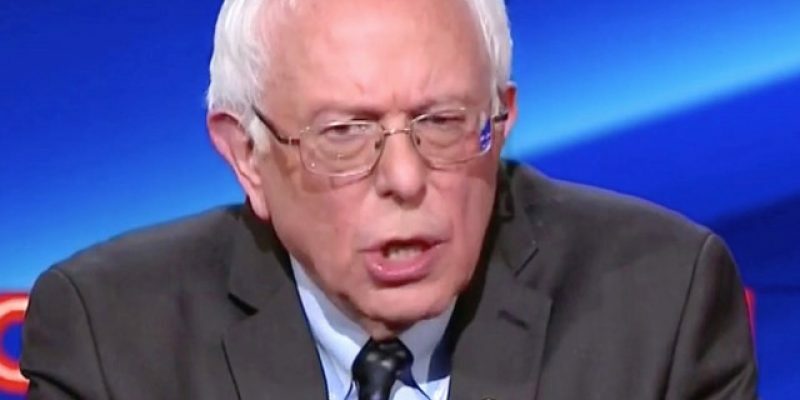 HVEEM: Bernie Accuses Republicans Of Being "Bankrupt Intellectually"
On Wednesday, Bernie Sanders made an appearance on ABC’s show “This Morning.” When given the opportunity to comment about his friends on the right side of the political aisle, he did not beat around the bush. Bernie boldly suggested, “The Republican Party is bankrupt intellectually.” This is a rather bold accusation. Not only that, but it is a rather odd attack to make in today’s political world. Maybe Bernie got confused and believed the year to be 2014. If this were the case, his statement may have some legitimacy. Republicans had been reciting the same talking points for years and there was an absence of political romance on the right. However, all of this changed whenever Donald Trump came onto the scene. Trump voiced such a radical transformation of the Republican platform that even some Republicans initially retaliated. His policies to this day continue to challenge many traditional right-wing principles. This has even lead to many establishment figures stepping down in part due to their opposition of the direction of the party. No matter how one evaluates the Trump agenda, it is undeniably dishonest to suggest the Republican Party is intellectually bankrupt. If anything, the party is struggling to keep up with the rapidly evolving desires of their voting base. Surely, Bernie can’t believe that Trump is just keeping the status quo? Let’s also not ignore the woolly mammoth in the room, which is the irony of Bernie Sanders, the old Soviet-sympathizing Bolshevik socialist who ran around America in 2016 demanding a “political revolution” and who never stopped touting the Venezuelan economic model, claiming anyone else is intellectually bankrupt. Perhaps this is more so telling of where the Democratic Party is intellectually. An expansion of socialist policies have been the norm at least since the emergence of Barack Obama and Obamacare. Could Bernie, feeling the intellectual stagnation of his own party, be crumbling under the pressure? Is it possible, that a revitalized romance on the right has the minds of democrats in a scramble? This could very well explain why Bernie fumbled the ball here. If anyone is struggling to come up with new talking points, it surely is not the main man on the right side of the aisle. Maybe this mental error reveals who is truly suffering from intellectual bankruptcy. Next Article BRIGGS: What’s At Stake In The 2019 Louisiana Elections?